Location: Salton Sea, California Artist: Eddie Colla. Nite Owl. 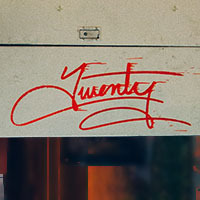 2wenty. Caratoes. Photographer: Nite Owl. Social Cigarettes – 600 Million+ smokers.